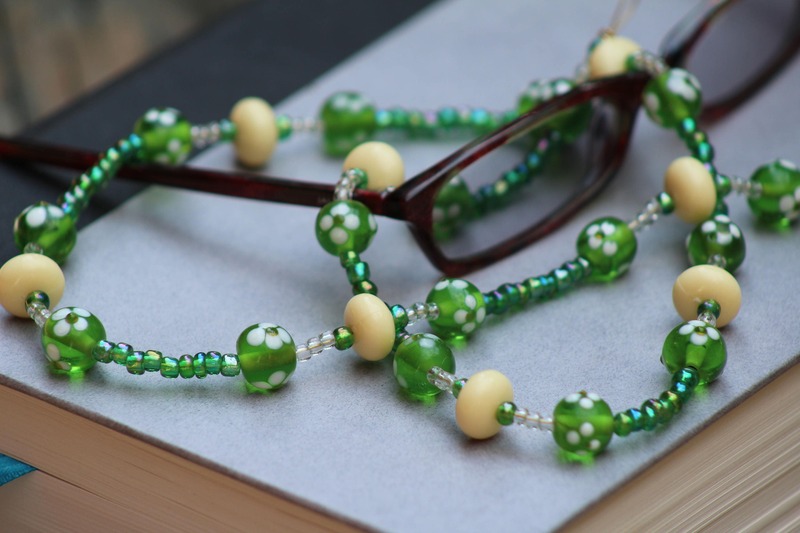 Green and pale yellow beads are used to make this pretty eyeglass chain. 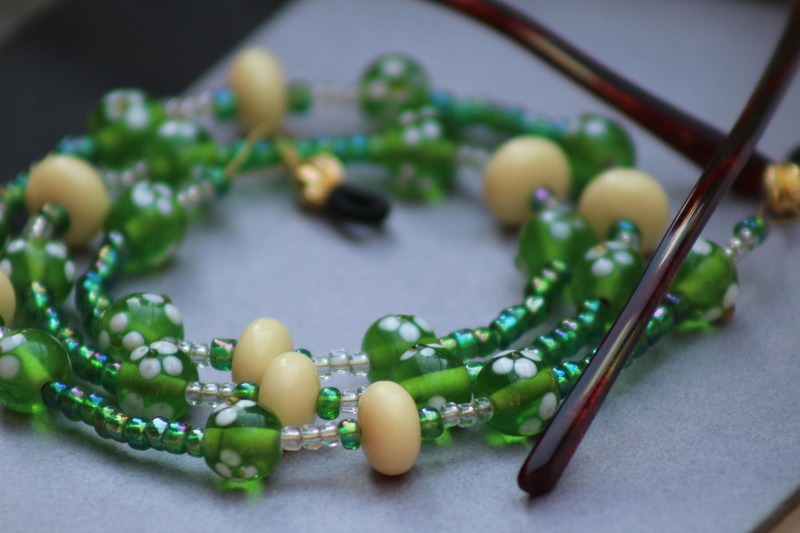 The large round green beads are lampwork beads, with hand painted flowers. Show a little feminine sign when you wear your glasses. 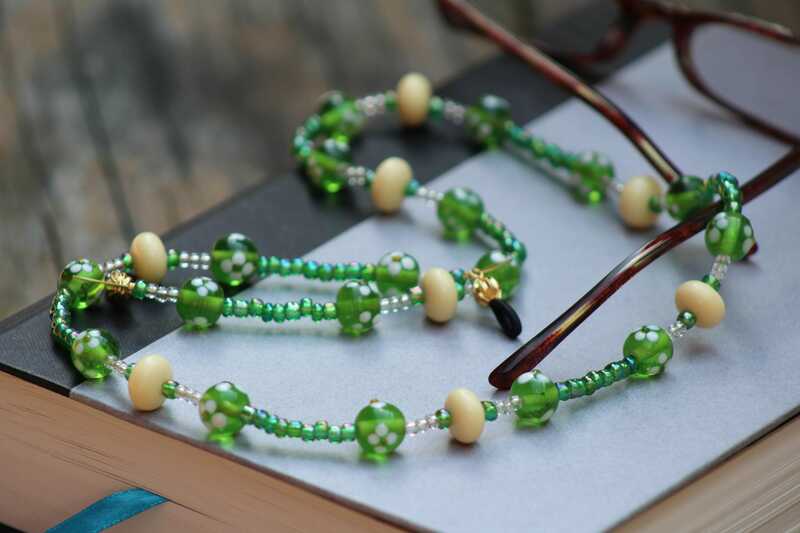 This one looks more like a necklace than anything and makes wearing those eyeglasses fun and fashionable! 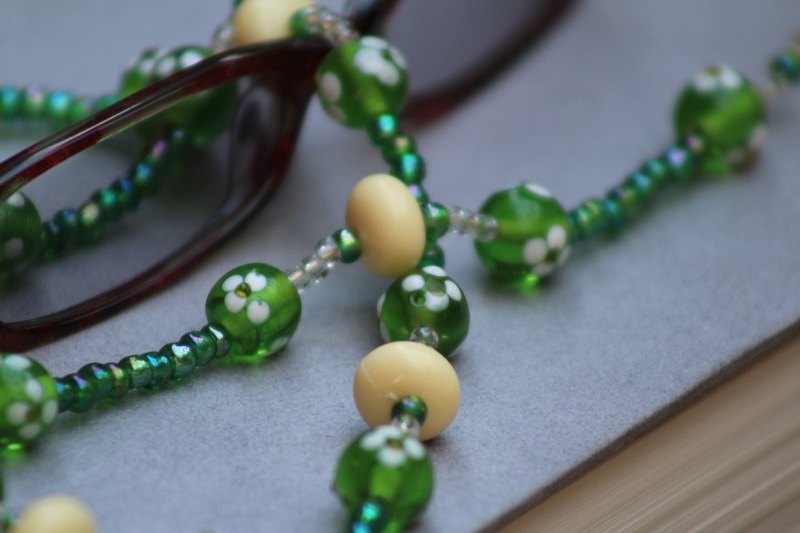 Large round green beads are approximately 9mm. Pale yellow rondelle beads are approximately 11x6 mm. 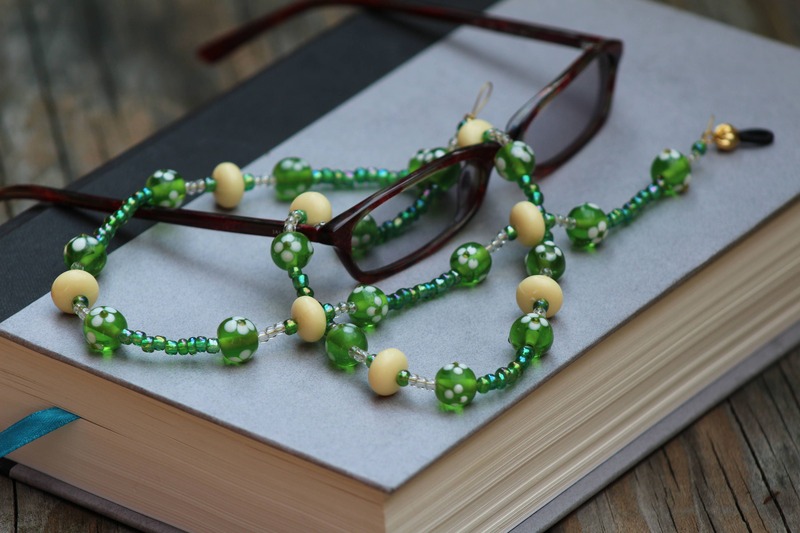 This eyeglass chain measures approximately 27 inches.